Stiles is a full-service commercial real estate firm with a clear mission: Invest∙Build∙Manage. With its diverse capabilities, Stiles has achieved a stellar reputation for excellence and market leadership within the real estate industry. In addition to Construction, Architecture, Realty and Property Management, Stiles also specializes in Development, Financing, Acquisitions and Repositioning. The Company is responsible for more than 38 million square feet of office, industrial, retail, mixed-use and residential projects throughout the southeastern United States. Since 1951, Stiles has played a vital role in South Florida’s rise to prominence. 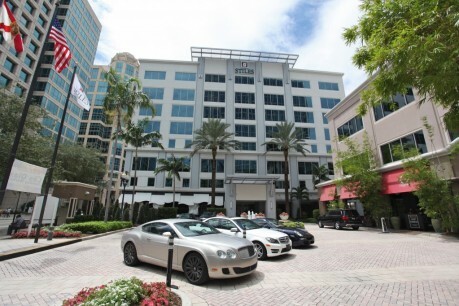 With a multitude of award winning projects, Stiles inspired the revitalization of downtown Fort Lauderdale, Florida, the home of its headquarters. The Company also maintains regional offices in Miami, Tampa, Palm Beach, Ft. Myers and Orlando, Florida. For more information, please visit www.stiles.com or call 954-627-9300. Find out more information about Stiles!